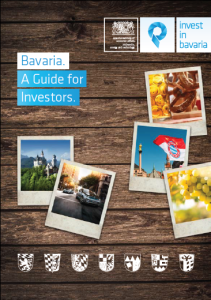 Take a closer look at business, education and quality of life in Würzburg, Germany. The three major universities in Würzburg continually prepare the city’s 33,000 students to succeed. Julius Maximilian University, the University of Applied Sciences in Würzburg-Schweinfurt and the Würzburg University of Music together cover fields from science and technology to the humanities and arts. Würzburg is also home to important research centers, notably The Rudolf Virchow Center for research in experimental medicine and the Center for Infection Research. These follow a strong tradition of research and development, a critical part of Würzburg’s identity since Nobel Prize winning professor at the University of Würzburg Wilhelm Conrad Röntgen discovered x-rays in the late 1800s. As universities and research centers provide the information and data to back innovation and development, training programs in trade, industry and commerce provide a strong, ready workforce. The local job potential is similarly strong. In 2011, the workforce experienced a national minimum in unemployment rate, at a mere 2.9%. With its innovative businesses and knowledge-based economy, positive developments have continued over the last few years. 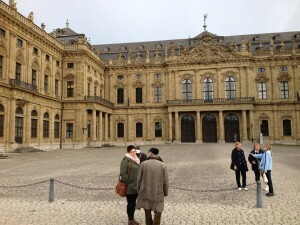 Würzburg proposes a life rich with culture and education that one needn’t be rich to enjoy. To begin, it is home to a UNESCO World Heritage Site, The Residence Palace, one of Europe’s most renowned castles. Other architectural wonders dot the cityscape including a cathedral, churches, a fortress and Würzburg’s iconic bridge. Beyond that, a wealth of museums and galleries are available at minimal cost to visit. One mustn’t forget that Würzburg is also in the heart of the Franconian Wine Country. Wine festivals, wine tastings and walking paths through the area of the famous appellation Würzburger Stein are recommended for all vine enthusiasts. Another highlight, Mozartfest, celebrates the famous composer Wolfgang Amadeus Mozart is attended each spring by over 25,000 people. Though one of the largest, it is far from being the city’s only music festival, joined by the African Music, the Harbor Summer and the Street Music festivals. These cultural attractions provide not only entertainment, but contribute to a healthy job market in the city. The Mainfranken Theater, for example, alone employs 250 people. A wide array of recreational options, family-friendly activities and a relatively low cost of living complete the picture of Würzburg as an ideal place for students, business professionals and families. Return to Würzburg, Germany sister cities page.